During an exercise in Kuzbass, the military personnel of the Electronic Warfare forces of the Central Military District learned to suppress the communication of a mock enemy. 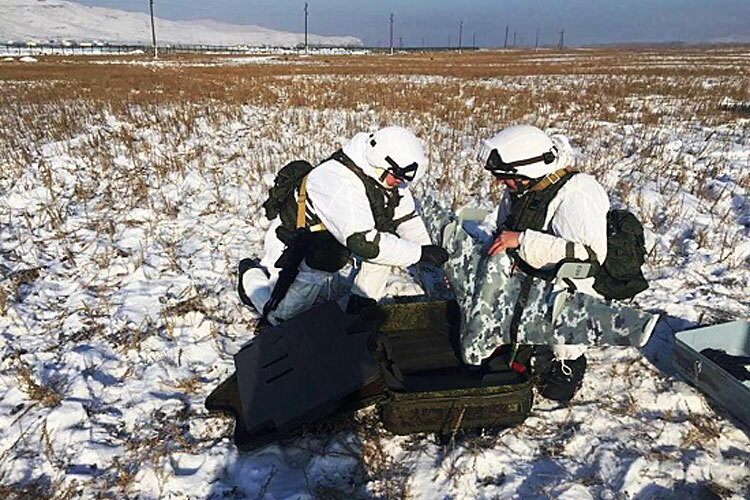 Press Release, 29 January 2019: During combat training held at the Yurginsky training ground, EW specialists widely used modernised complexes based on ORLAN-10, ZASTAVA, LEER Unmanned Aerial Vehicles (UAV) including those equipped with infrared modules. The servicemen created a complicated jamming environment and suppressed radio communication channels of the conditional enemy. More than 1,500 troops and over 500 units of military hardware of the motor-rifle brigade of the Central Military District, including ORLAN, ZASTAVA, LEER Unmanned Aerial Vehicles were involved in the exercises.